Expanding to 100 cities in China — Done. Q2 milestone completed ahead of schedule. From the very beginning, we knew 2019 was going to be an explosive year for Techrock and Tael when it comes to adoption and expansion of our sales network in Mainland China. However, we seem to have underestimated the market’s hunger for authentic consumer goods, having reached a major milestone well ahead of its Q2 expected date on our roadmap. We’re more than proud to announce that people from over 100 cities in China have purchased Techrock’s products. This also means that Chinese consumers from more than 100 cities are now holding Shijifen/Taels. Our reach inside the country is growing by the day and it’s encouraging to see our expectations surpassed with such speed. 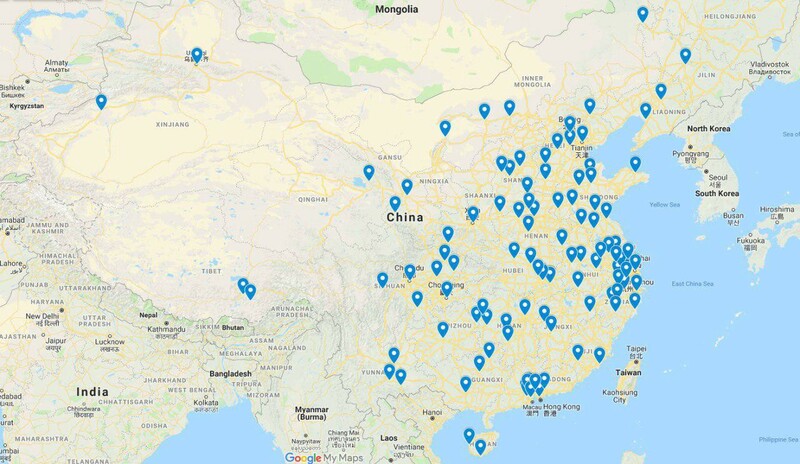 A visualization showing Techrock product purchase locations in Mainland China. the locations above are not just cities where Techrock purchases can be made; they are cities where actual sales are already being made. Tael adoption continues to grow. Not only does this mean the Techrock brand is gaining traction as the definitive trusted source of vital consumer goods, but it also means the adoption of Tael by everyday consumers is growing by the day. Thanks to a frictionless process of accumulation and spending, those utilizing our ecosystem are prone to return for additional purchases. In light of this development, we’ve decided to up the stakes and push ourselves further. This is why we’re updating our initial Q2 roadmap. We are increasing the Q2 number from 100 cities to 250 cities. We will also update our Q4 estimate of 250 cities, to 500 cities. We thank you all for your continued support and for joining us on this journey. We have so much more to show you and we can’t wait to reveal all that’s coming.